Stay true to the classic style and comfort with the SKECHERS Arcade - Fulrow shoe. 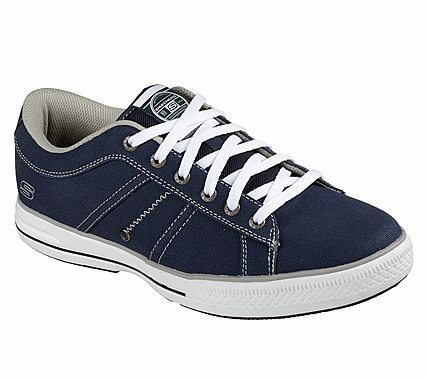 Smooth soft woven canvas fabric upper in a lace up sporty casual walking sneaker with stitching and overlay accents. Gel Infused Memory Foam insole.